Your HbA1c test results are directly related to your risk of developing complications from diabetes. Getting your diabetes under control can slow down progression towards complications such as diabetic eye problems such as retinopathy or kidney problems such as nephropathy. The greater your HbA1C test and the longer amount of time your HbA1c test is elevated, the greater your risk of complications. The HbA1c test measures how well your blood sugar has been controlled over the last several months. Unlike fasting glucose tests, this test is not affected by what you are eating today. What Is a Normal HbA1c? An HbA1c of 5.6% or less is normal. Prediabetes is associated with a HbA1c test of 5.7% to 6.4% and diabetes is diagnosed with a result of 6.5% or greater. 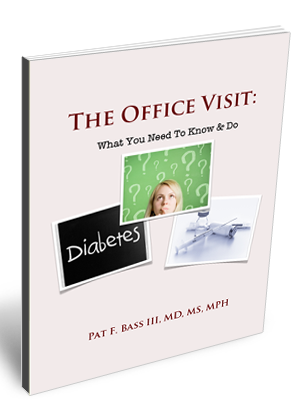 Once you have been diagnosed with diabetes the goal is to keep your level below 7%. How Does the HbA1c Test Affect My Risk of Diabetic Complications? Microvascular disease like retinopathy or nephropathy by 37%. Peripheral vascular disease by 43%. If you can get your HbA1c test under good control, you may never develop a diabetes complication or complications will develop more slowly. The lower you can get your HbA1c test the better. The longer your HbA1c test remains elevated, the risk for developing these becomes greater as well. You probably will want to have a HbA1c test every 3 to 6 months . If your HbA1c test is in the pre diabetes range, your doctor may prescribe metformin in addition to lifestyle modifications. Otherwise, your doctor may recommend a new medicine or increase the dose of one you are already taking if your HbA1c is high. What Can I Do If My HbA1c Test Is Elevated? * American Diabetes Association. Standards of medical care in diabetes–2012. Diabetes Care. 2011 Jan;35 Suppl 1:S11–63. * Irene M Stratton,H Andrew W Neil, David R Matthews et. al. Association of glycaemia with macrovascular and microvascular complications of type 2 diabetes (UKPDS 35): prospective observational study. BMJ 2000; 321:405.